Maybe some of you know that trick. I grew up with two older brothers and an older sister. My older brothers liked to play tricks on me. And this was one that they loved. They would be eating something yummy, like candy, and I wanted some. And they would say, “Open your mouth and close your eyes and you will get a big surprise.” And of course, I believed I would get candy, so I opened my mouth and closed by eyes and … my brother put something else in my mouth – I think one time it was a piece of onion! How would you feel? I got angry! “You promised me candy!” Or, at least, he led me to believe that’s what I was going to get. Words come to mind to describe how I felt: deceived, lied to, tricked. It felt like a broken promise. 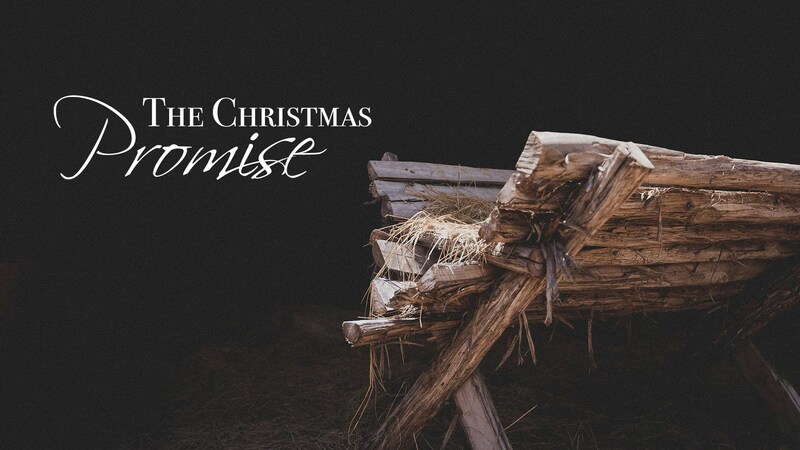 It’s Christmas and we want to think about the Christmas Promise. I wonder. Do you ever feel like Christmas is a deception? I mean, sometimes this season called Christmas, which seems to start the day of and keeps up for a whole month. You’ve been shopping, sending Christmas cards, attending holiday parties, wrapping gifts, baking cookies, and now you have 14 people coming to the house and you’re just hoping that the in-laws don’t get into a fight and everyone gets along. You’ve had too much sugar, and the dog got into the fudge and made a mess on the carpet that you had to clean. What happened to the promise that Christmas was supposed to be this happy, joyful time? I think part of the reason we feel a little let down about Christmas is because, well, maybe we’ve lost sight of what the promise really is. We need to go back to the Old Testament prophets where it all started. We read the words of Isaiah, a prophet who lived about 700 years before the time of Jesus in the city of Jerusalem. The people of Jerusalem were suffering. Their nation was being attacked and destroyed by the Assyrian Empire. The Assyrians were threatening to invade Jerusalem, too. The city was surrounded. The people were terrified, hungry, and oppressed. Isaiah speaks for God, and tells the people that God has made a promise – God will not abandon them. They would suffer for a while, but, eventually, God would send them a Messiah. The word “Messiah” is a title, also called the “Christ.” The Messiah would be God’s chosen leader; a king who lead the people into a time of peace. That promise is spoken most directly a couple of chapters before our reading that we heard from Isaiah. We back up to Isaiah, chapter 7, verse 14, and we hear these words, “Therefore the Lord himself will give you a sign. Look, the young woman is with child and shall bear a son, and shall name him Immanuel.” (7:14) And then we are told in our reading tonight, from Isaiah chapter 9, that this child would grow to be a great king: “For a child has been born for us, a Son give to us; authority rests upon his shoulders; and he is named, Wonderful Counselor, Mighty God, Everlasting Father, Prince of Peace.” He is named these things because this child is the Son of God. The Messiah, the Christ, the Son of God, God’s chosen one who will rule forever, is born. The birth of Jesus is connected to those verse from the prophet Isaiah. Jesus is the one who will bring peace to our world, and peace to our hearts – not with a sword, but by saving us from our sin. He is God with us – That is the promise. For many people in the time of Isaiah, and for many people in the time of Jesus, when Israel was ruled by the Romans, their idea of rescue was to have a superhero king come in and blast out all the bad guys and make everything perfect. They thought the promise was about using violence to end violence. Sometimes we think that the promise is about God swooping in and relieving us of all our worry and stress. Maybe we think that being a Christian is about being happy all the time. We think God is supposed to take away our troubles. Maybe that’s why Christmas can feel like a broken promise. Think about that distorted promise for a second – ‘Us with God.’ That is a promise of Escape. When we look around and realize that the world seems just as messed up and painful as it ever was, then, we think, God has not kept his promise. We either think that God didn’t, or can’t keep his promise or we reduce God’s promise to some kind of fire insurance plan where the Good News is just about escaping pain or Hell when you die. As if it’s all about escaping from this world, and this life. But, that’s not the promise God made. God said that this Messiah, this savior of the world, shall be called Emmanuel, God with US. Instead of the promise of Escape, this is the promise of Embrace – God with us. This Messiah, Jesus, wasn’t going to swoop in and use violence to end violence. He wasn’t going to snap his fingers and magically make everything perfect. Instead, he was going to give up all the riches and power and glory of being God and become like one of us. He was going to show us that the only way to end violence and hatred and war and famine was through humility, compassion, and sacrificial love and he was going to show us how to live like that. This is the promise of embrace – God with us right in the midst of our struggles. Jesus was born into poverty and his bed was made of straw, surrounded by sheep and cow manure. It was raw. It was real. It wasn’t always pleasant. It was a lot like our lives. But the Savior of the world was there. The Christmas Promise is that God is with us, right where we are. When God makes a promise, he doesn’t pull a fast one on us. He always comes through. Jesus is not just the baby in the manger. Jesus is “God with us” always.